What is Unique About the West? It's Not What You Think! Many people have tried to explain what is special or unique about the West, usually in a way that is flattering to people in the West. (1) My answer has nothing to do with “race”, genetics, intelligence, religion or political traditions. To me there are only two things unique about the West in world history. One goal of the Western powers was to take the spice trade from the Arab traders. Each country aimed for a monopoly of this trade to maximize their profits. Trade between the Middle East, India, Southeast Asia and China had been going on for centuries. 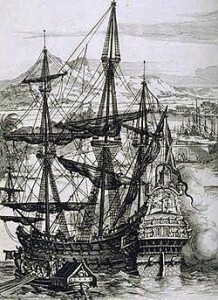 The galleons were fitted out for trade and for war because the Western powers wanted to control all trade routes and were determined to remove any competition by any means, including war. Wealthy merchants knew there could be no profitable trade without war, so building galleons was an investment. By 1500 European ships could sail reliably over the giant bodies of water like the Atlantic, Pacific and Indian Oceans. Their methods of conquest and control began with warships and resident colonial administrations. Wars and coups are still the main method used by Western powers to subdue any signs of defiance, however routine control is exercised by banks and the financial power of debt. Once a country becomes heavily indebted, they must do as the banks wish or face non-military sanctions like currency manipulation. The second unique feature of the West is that the leaders and most of the people in the West assume that they have the right to exercise this kind of control over the rest of the world. The Treaty of Tordesillas (1494) and the Treaty of Zaragoza (1529) divided the lands outside Europe between Spain and Portugal, the leading naval powers in the West at the time. Earlier Pope Alexander VI had published a decree “inter caetera” to the manage the conflicts between these two Catholic countries over who had the right to control the parts of the world recently discovered by different explorers. The leaders of all Western powers from that time on have assumed they have the same “rights” first claimed by Spain and Portugal. At the time these claims were first made by Portugal and Spain there were many different cultures and civilizations around the world, most of them older than the countries in the West who claimed the right to rule the world. What is now Western Europe was formed out of the remains of the western half of the old Roman Empire. People in the West tend to forget that in 330 AD, well before Rome fell to the barbarian invaders in 476 AD, the Emperor Constantine shifted the capital of the Roman Empire to the city we now know as Constantinople. This eastern part of the old Roman Empire is called the Byzantine Empire, and was named after the city, Byzantium, which Constantine made his new capital. The sacking of Rome did not mean the end of the Roman Empire. It only meant that one part of the empire was lost to the invading tribes. After the barbarian invasions virtually all the culture, literature and philosophy of the Roman Empire disappeared for several centuries from what had been the western part of the empire. This is called the Dark Ages. However all of Roman culture survived and continued its development in the eastern part of the Empire. Eventually this culture was passed on to the scholars of the new Muslim society we know as the Ottoman Empire and the new civilization we know as Orthodox Russia. All over the world, in the Middle East, Africa, South America, Iran, Southeast Asia, China, and India, civilizations based on an agricultural surplus had arisen from as early as 8000BC. However, none of them had been able to exercise control over territory they were not connected to by land or by short sea voyages. The ability of Western countries like Spain and Portugal to occupy and control land separated from them by 1000s of kilometers of open ocean was unprecedented in world history. According to the old maxim, Might makes Right, the powers of Western Europe assumed they had the right to control any part of the globe they could conquer and occupy successfully. Most European thinkers since 1500 have assumed that the Western right to rule the world was legitimate and justified. The way this has been expressed has differed over time. The early conquerors always thought of themselves as doing God's work, spreading the Christian message and saving the souls of the heathens or savages they encountered. Another line of thought was the “White Man's Burden”, the moral duty of well-meaning Europeans to educate and improved the lives of the people they conquered. Today we are told by the leaders of the US that it is exceptional. Unlike other countries, they know what is best for the world, namely their version of democracy and free market capitalism. They also claim a higher duty, called the Responsibility to Protect (R2P). This demands that the US and NATO attack countries who do terrible things to their own people. But advocating R2P and free trade for the whole world are not really new. English speakers need only look at the doctrines of the well-known “democratic” political theorist John Stuart Mill. John Stuart Mill is often seen as “the most influential English-speaking philosopher of the nineteenth century. Mill's conception of liberty justified the freedom of the individual in opposition to unlimited state and social control.”(6) He is cited as a major defender and supporter of democracy, but his major concern was to provide freedom for the individual. He was actually rather nervous about democracy even in Britain itself. He suggested that some people, employers of labour, be given more votes in his ideal democratic system because they are more intelligent that the people who work for them. But he does not advocate any kind of democracy for Ireland because the Irish would be more inclined to shelter a law-breaker than turn them in. Democracy was also out of the question for India, as its people were still in their “nonage”. This is just a polite way of saying the people of India are children, not grown up enough for the responsibility required in a democracy. Mill wrote on many subjects in articles and books throughout his life. While his main focus was on Britain itself, he does comment on two topics which reveal his total acceptance of the Western right to rule the world and dictate how other countries should conduct themselves. In 1859 Mill wrote an article entitled “A Few Words on Non-Intervention”. 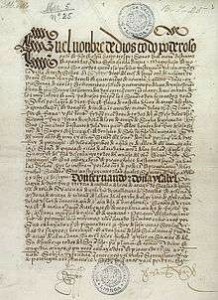 It was the first essay which elaborates the policy we now know as “humanitarian intervention”. Chomsky gives the following account of Mill's view. Here we see a British exceptionalism no different from the US version. The historical occasion for this essay was the “Indian Mutiny” in 1857. Britain crushed this open armed opposition in India with a savagery well publicized in Britain. Some genuine liberals were opposed to this behaviour but J.S. Mill, who, like his father, worked for the East India Company, defended the actions as necessary not for Britain but for the good of the Indians themselves. The basic problem was that the British had a poor balance of trade with China. China wanted nothing the British had to sell, so the British had to pay in gold for what they want to buy from China to sell in Europe. After they changed the Chinese opposition to free trade they were able to sell the opium (which they grew in India) to the Chinese. This drained the gold from China to the banks of London. What a perfect example of the way Britain was a “novelty in the world,” an angelic power that seeks nothing for itself and acts only for the benefit of others. We can see in the guidance of Pope Alexander VI a clear statement of Western values which are alive and well today. His message is that there is nothing morally or spiritually wrong with invading, conquering or taking control of any non-Western part of the world. The leaders and many of the people in Western countries have been eager for centuries to invade other parts of the world. After WW II most of the outright colonies of Western countries were set free. Furthermore, the Nuremberg Trial and the UN Charter were based on the primacy of sovereign nations and non-intervention in a countries' internal affairs. However the US quickly put forward its free market policies as a model for the world's future and the principles of non-intervention have been ignored by the US for the last 70 years. If you look at the actions taken by the US against Syria, you will find that articles 1, 2, 33 and 39 of the UN Charter ban such aggression. According to the people at the time, the worst thing done by Hitler's Germany was not killing 6 million Jews, but invading Poland, France, Holland, Denmark, Norway and the Soviet Union. At least 20 million people died in Europe as a result of these invasions, and many millions more died from the Japanese invasion of China and most of Southeast Asia. Perhaps one way to see the collective result of WW II as set down in the Trials of German and Japanese leaders, as well as the UN Charter, is to understand them as a complete repudiation of the Western values which by that time had been operating for 450 years. This is why the US and NATO wants us to forget about the UN Charter and the principles of international law set down over 70 years ago. The main freedom the "free world" of the West claims for itself is the freedom to determine the leaders and the laws of any country in the world. As we have clearly seen since 9/11, the freedom of individuals means nothing in the West. All of the ideals of the West are just nice words. The real values of the West are now plain for all to see - the same values that have been practiced for 500 years. We rule the world. Watch out if you disagree. War will come your way. 1. What is the West? Here I assume that the West is made up of the countries in Western Europe, the UK and the USA. There are many other countries seen as part of the West now, such as Canada, Australia, New Zealand and Israel. These were all created as colonies of the British Empire, but did not play a major part in the historical division of the world that took place between 1500 and 1900. 2. The leaders in this field were the Portuguese. “Their position on the Atlantic made them a race of mariners able to cope with the risks of the sea. In their long crusade against the Moors they had built up a formidable naval power. (…) They were ahead of other powers in the construction of 'great ships' able to accommodate large numbers of men for long ocean voyages. (…) In the eastern seas they excelled the Moors in both fighting and navigating their ships, and the ships themselves were in every way superior to those of the Arabs, which were built for sailing only under favourable monsoon conditions” D.G.E Hall, The History of South-East Asia, 3rd edition, St Martin's Press, New York, 1970, p. 239.